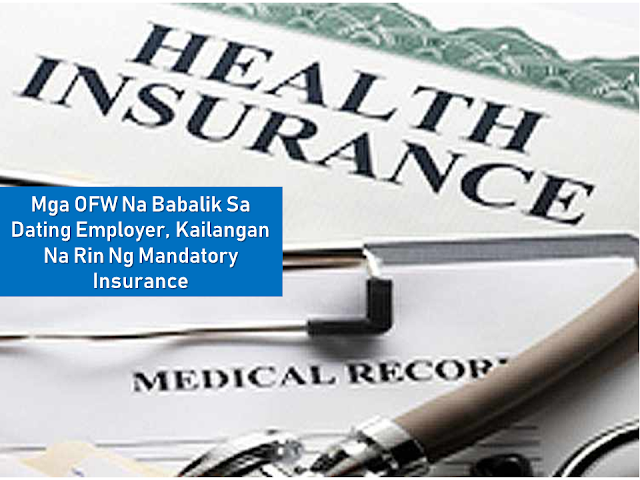 All overseas Filipino workers (OFW) who will be deployed for the first time is required to have an insurance under the Philippine labor law. Now, returning OFWs are also mandated to have an insurance including those who renewed their contracts with the same employers according to the new regulation from Philippine Overseas Employment Administration (POEA)’s Governing Board Resolution No 4, signed on Aug 17 by five officials led by Labor Secretary Silvestre Bello III. According to a stamp on the directive, it was supposed to have been circulated to concerned agencies on Sept. 4, but will take effect only 15 days after the publication of its implementing guidelines. Dolores Balladares-Pelaez, chair of Unifil-Migrante Hong Kong, said the insurance requirement was just another way for the government to further milk migrant workers and is not necessary. 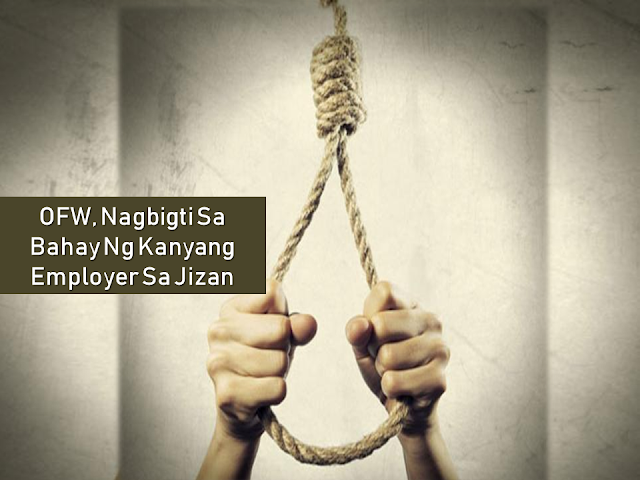 She also said the new regulation could spark tension with employers, and might even lead to OFWs losing their jobs. Doris Lee of the employers’ group Open Door, also expressed displeasure at the new obligation they are being made to bear, calling it redundant. 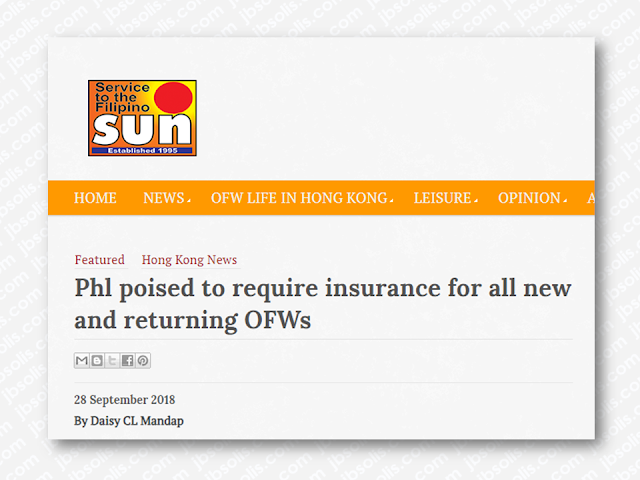 “The Philippine government requirement that employers of Filipino domestic workers must pay $1,200 per contract renewal for insurance is a duplication of existing employer insurance requirement under Hong Kong law,” said Lee. 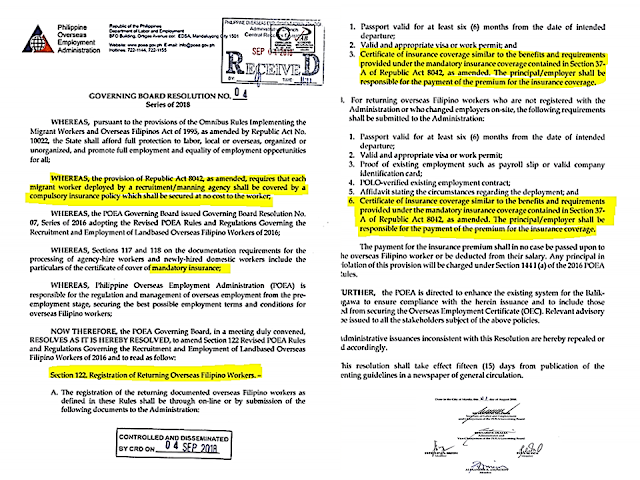 Under the POEA resolution, all returning OFWs must register with POEA. And to do this, they must provide a passport valid for at least 6 months, valid visa, and a certificate of insurance coverage similar to that required of those leaving for their first jobs abroad. For land-based workers, the two-year policy is pegged by the insurance companies at US$144 (almost Php8,000 at current exchange rates), while those who work at sea must pay US$200. Surprisingly, Resolution 4 kept referring to RA 8042, even if it has already been repealed by RA 10022, which requires only newly hired OFWs to secure insurance from a select group of companies vetted by the Insurance Commission of the Philippines. The law has clearly taken away the compulsory nature of the insurance for rehires, or those renewing their contracts with the same employer. Another apparent anomaly is that a Republic Act, which had gone through rigorous scrutiny by members of Congress, is now being effectively repealed by a mere POEA Resolution. 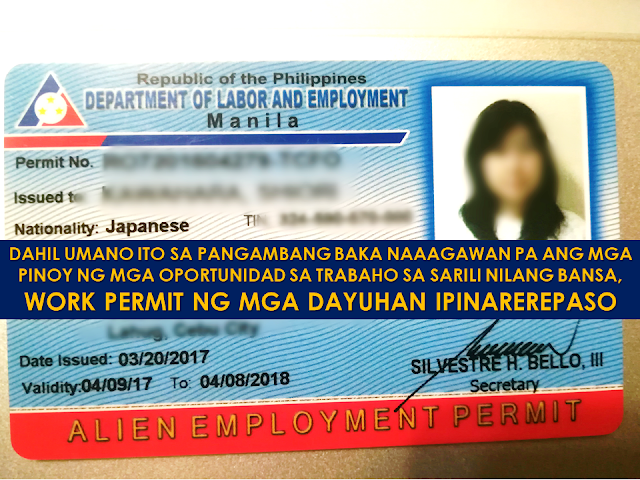 If and when POEA manages to get the new directive implemented, it can expect vigorous opposition from the migrant workers.